NASSAU, The Bahamas – Veteran radio broadcaster, talk show host and media and public relations executive, Mr. Kevin Harris, has been appointed Director General of Bahamas Information Services. Mr. Harris’ appointment took effect January 1, 2018. He succeeds Mr. Luther Smith who served in the post for the past three-and-a-half years. 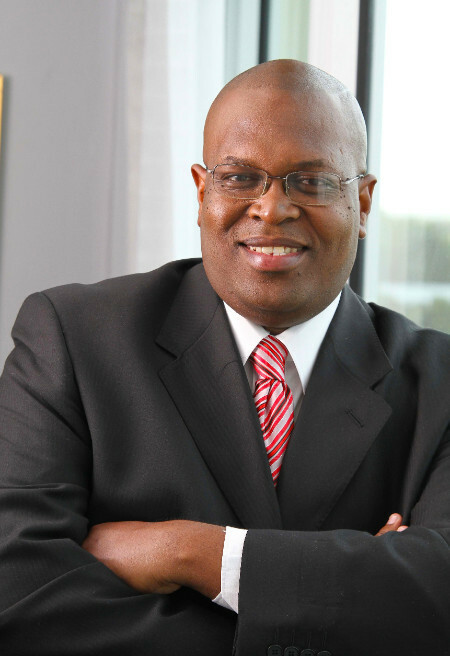 Mr. Harris also has over 25 years’ experience as an Advertising, Marketing and Public Relations Consultant. He served as the very first Marketing Executive for British American Bank and Western Union in the Bahamas from 1996 to 1998. Mrs. Pakesia Parker-Edgecombe, Parliamentary Secretary for Information and Communications in the Office of the Prime Minister, who has responsibility for Bahamas Information Services and the Broadcasting Corporation of The Bahamas, welcomed Mr. Harris’ appointment while thanking Mr. Smith for his work done during his tenure. "As Bahamas Information Services works towards ensuring positive growth and development in its field, we are confident that the appointment of Mr. Harris will indeed take us in the right direction,” Mrs. Parker-Edgecombe said. “Furthermore, we are grateful for the job Mr. Luther Smith has done in the last three-plus years and wish him well in all of his endeavours. Amidst an ever-changing environment in the information and communications sector, Mr. Harris' skills to lead the organization having served in the area of media for so many years, will undoubtedly work to our benefit. “BIS will witness a dynamic transformation as Mr. Harris and his executive team chart the way forward utilizing both technology and human resources to ensure that vital information pertaining to the government and governance of our country is widely disseminated with relevance, accuracy and speed as demanded by our citizenry and indeed those of the world,” Mrs. Parker-Edgecombe added. Born in Nassau in 1970, Mr. Harris attended Columbus Primary School, C.H. Reeves Junior High School and the Government High School from which he graduated in 1997. An ordained minister of the Gospel, Mr. Harris holds a Bachelor’s Degree in Theology from Christian Life School of Theology. Widely known in gospel and entertainment industries as “Minister K,” Mr. Harris is the Founder and President of the Caribbean Gospel Music Marlin Awards, which is now considered the world’s premier music awards for Bahamian and Caribbean Gospel Music. The Marlin Awards celebrates its 22nd anniversary this year. Mr. Harris also served as the local entertainment coordinator for the historic taping of the Oprah Winfrey Show at Atlantis, Paradise Island in 1999, and as the local coordinator for the Bahamas segment of the world tour for late civil rights activist Rosa Parks. Mr. Harris is married to Quetell Harris (nee McPhee), and is the father of three children.